Little Boots is a better person than I, because the mornings are not my finest hour. My hair is looking snatched from my silk wrap falling off in the middle of the night (#BlackGirlProblems), the sun is too damn bright as it streams through the window, cooking me like pork sausage, and the cackling hyena cries of my mother's daily watching of The View blare from the TV without fail. No, Victoria Hesketh aka Little Boots, things are not better in the morning. Still, like I said, she's better than I, as her latest single, the Ariel Rechtshaid-produced, "Better In The Morning", is all about grinning-and-bearing bad situations even when they are complete hot messes. Sure she's giving us a bubbly ode to the wobbling on one-heel "walk of shame" from a one-night stand, but Boots is far from being a Sam Smith sad face emoji, as she brushes off the faux pas with pithy sarcasm while bouncing along a groove in similar aesthetic as the Tom Tom Club's 1981 classic,"Genius Of Love". 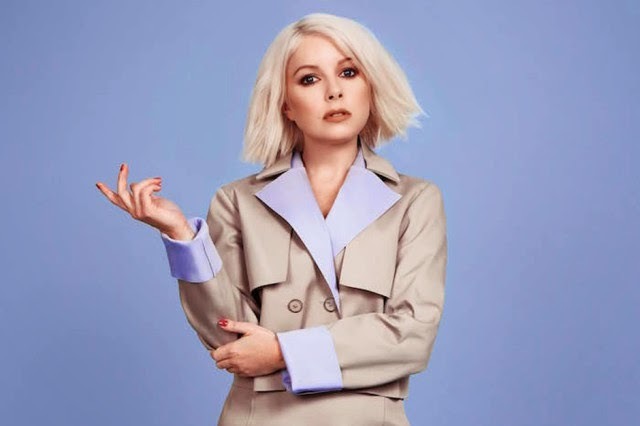 "Better In The Morning" is the first introduction to Little Boots' upcoming Working Girl project that is dropping July 10th. According to Boots herself the album is to wink at a conceptual narrative as she explores her journey on being the head honcho at her independent label, On Repeat, all while turning the traditional associations of the term 'working girl' on its head. Atta girl! From a quick view of the track-list, it appears that all but one track from last year's Business Pleasure EP made the cut (yay for "Heroine"! ), but with song titles like "No Pressure" and "Get Things Done" Working Girl is already shaping up to be the album Melanie Griffith's Tess McGill would've blasted out when she fought for her piece of the corporate pie.